Home \ Uncategorized \ A-SIDES TURNS 2 WITH AMERICAN AUTHORS AND MORE! 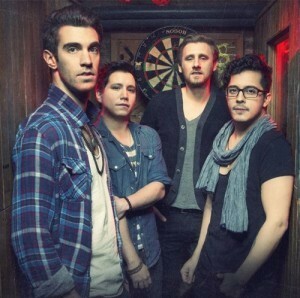 A-SIDES TURNS 2 WITH AMERICAN AUTHORS AND MORE! Hot off the presses, and by presses, I mean the WordPress… Jon Chattman and his A-Sides Music brand (asidesmusic.com) are holding its second anniversary concert at Garcia’s within The Capitol Theatre in Port Chester NY on Saturday, Oct. 26. The event, which presents indie, pop and alt-rock as featured on Chattman’s popular A-Sides music sessions, will feature buzzed band American Authors – fresh off their appearance on The Tonight Show with Jay Leno, along with NYC-indie acts XNY, Owel and Isle of Rhodes. Doors 530 p.m. Show starts promptly at 8 p.m. Tickets $10.